Hi friends! Happy Friday! 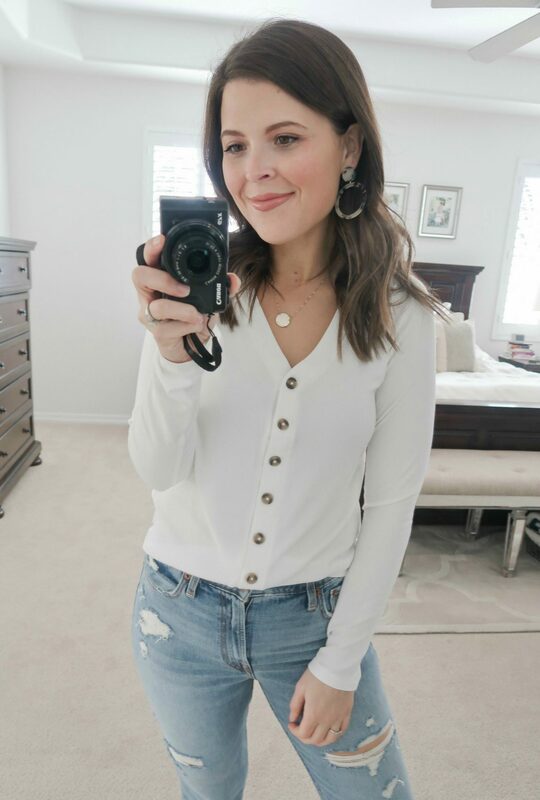 I’m so excited to be bringing you my first try-on session in what feels like fooooorever! I’m trying on lots of cute stuff I just ordered from American Eagle and I’m seriously obsessed with all of it. I’m really trying to be more intentional about versatility when I order clothes and so many of these pieces can be mixed and matched. 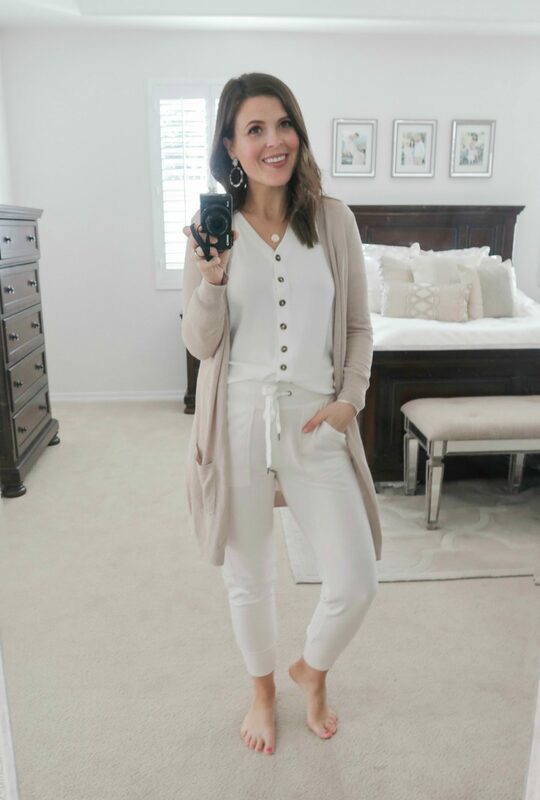 I paired a few of the items numerous ways in the outfits to give you an idea of how versatile they are! Also, a bunch of the items are on sale and I made sure to highlight which ones they are below. 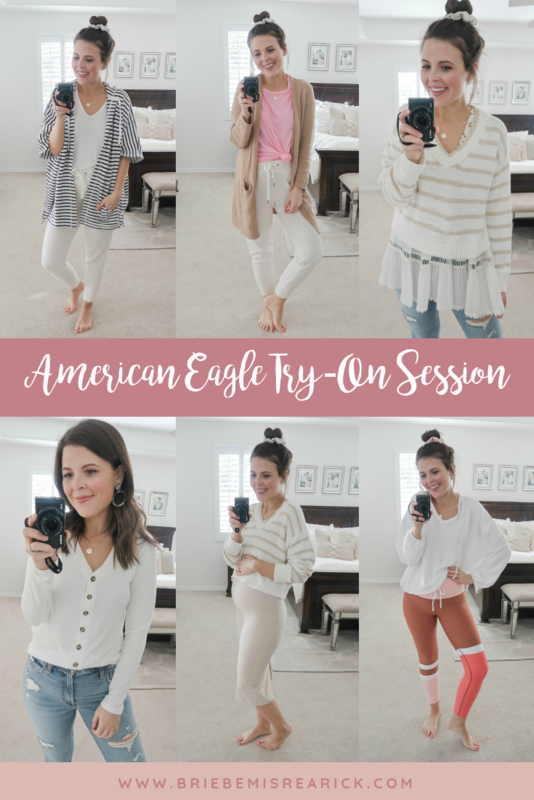 I’ll have Instagram stories up later today trying on all of these American Eagle items so you can get a closer look, so be sure to keep an eye out for that as well! I’d love to hear which outfit is your favorite. 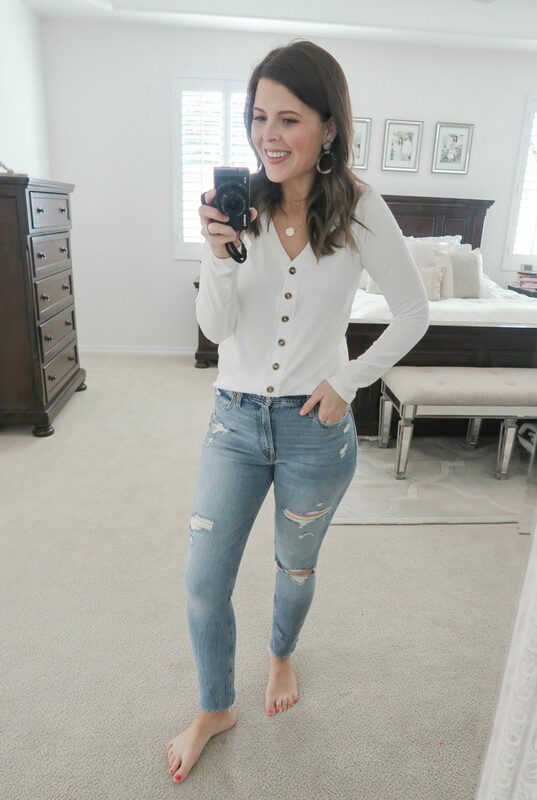 AE Slim Button Front Tee, Natural White: Wearing size medium. I sized up one size to accommodate my growing bump and I like the looser fit. 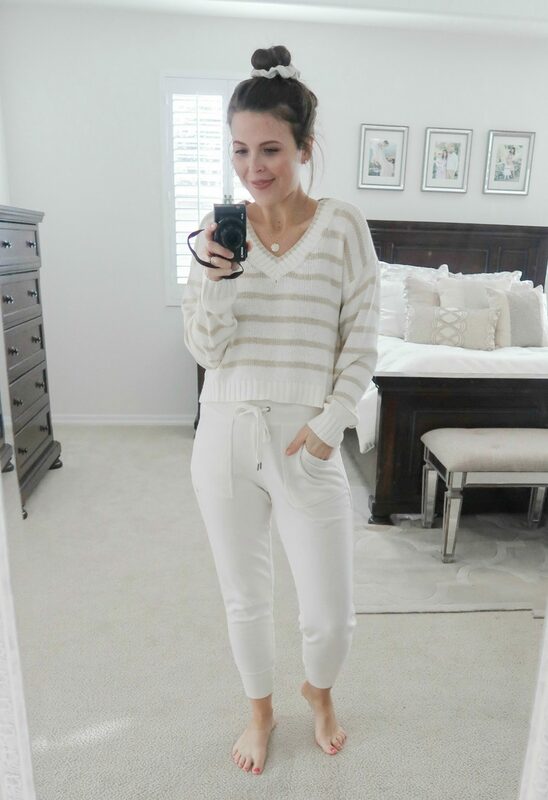 Aerie Plush Ribbed Cuff Jogger, Natural (currently 30% off!) : Wearing size small. Comes in 6 colors. 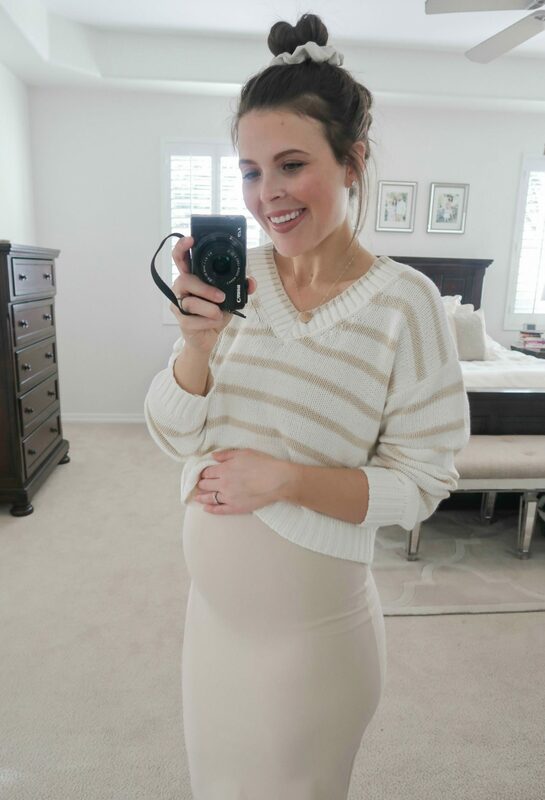 I didn’t size up because reviews said they run a bit big, I love the fit! Aerie Distressed Boyfriend Tee, Pink Surf (currently 30 % off!) : Wearing size small. Comes in 11 colors. OBSESSED with this color! Runs large but it’s supposed to be oversized. Be sure to watch my Instagram stories later today to see how versatile it is! Aerie Fleece Poncho, Soft Muslin (currently 30% off!) : Wearing size XS/S. 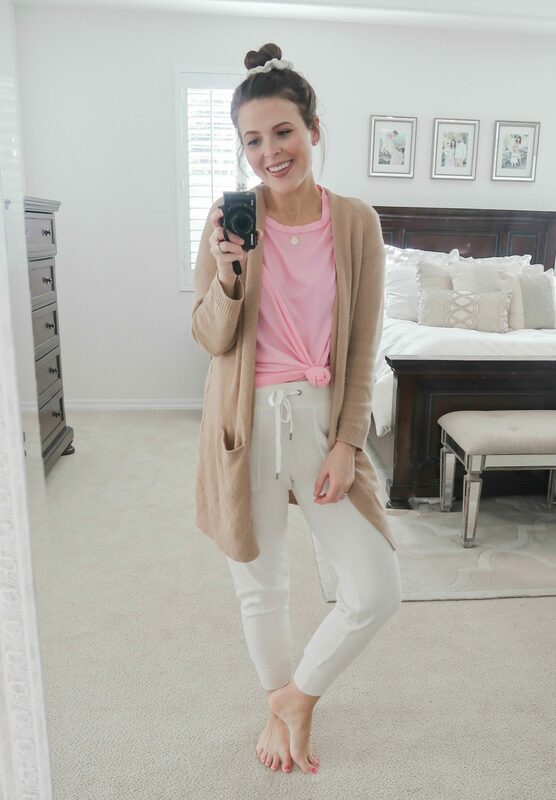 This is so comfy and I love the oversized fit! It’s my new favorite travel piece and I plan on getting it in this color too. 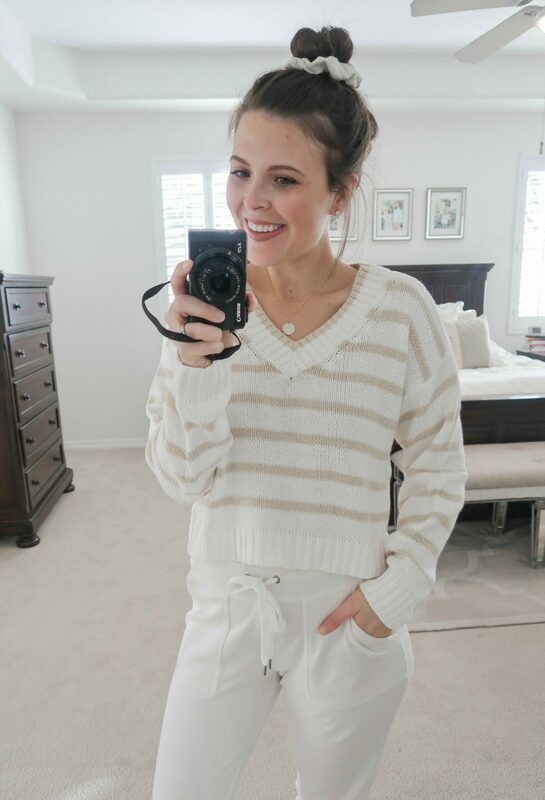 AE Striped V-Neck Pullover Sweater, Cream: Wearing size small, fits true to size. Comes in 4 colors. 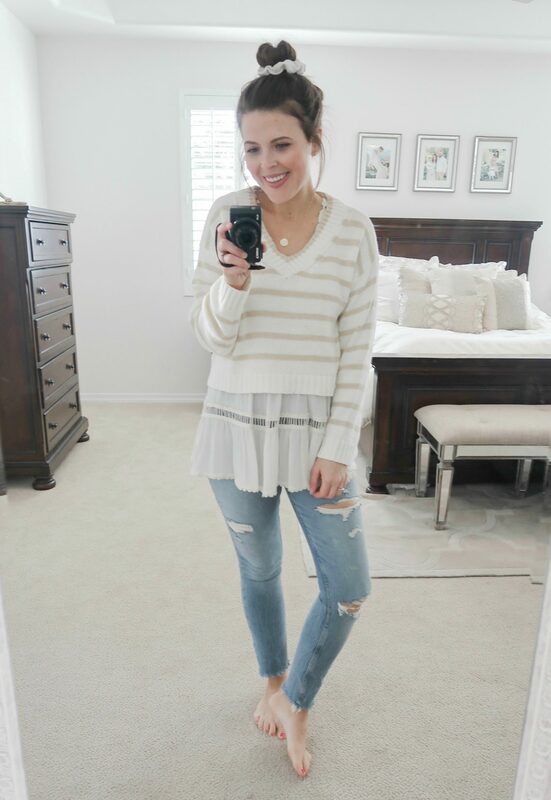 As you’ll see in the next few outfits, this sweater is so versatile! 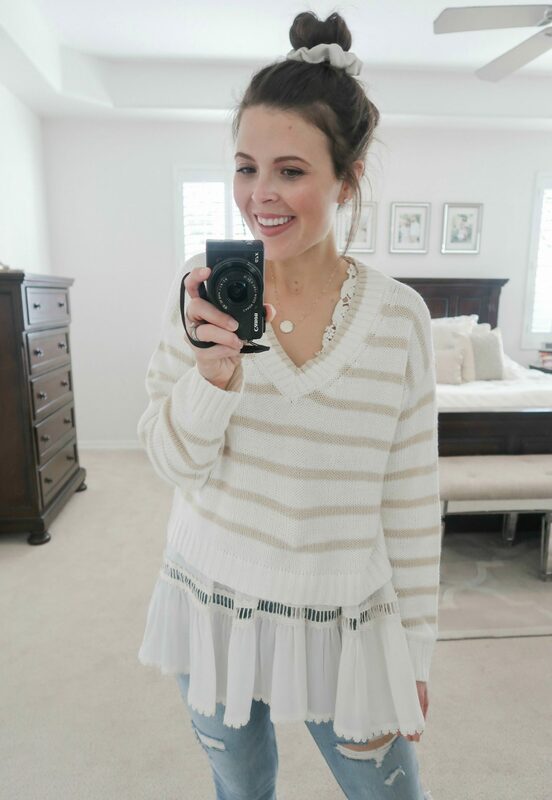 I love the neutral colors and the cropped fit, even with a bump! 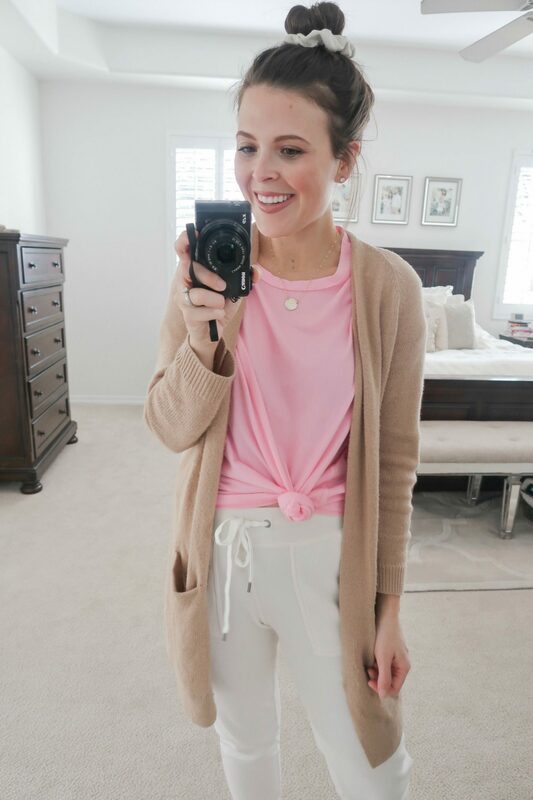 Aerie Drapey Hoodie, White (currently 30% off!) : Wearing size small, fits a little large but it’s supposed to be oversized so I wouldn’t size down. Comes in 8 colors. 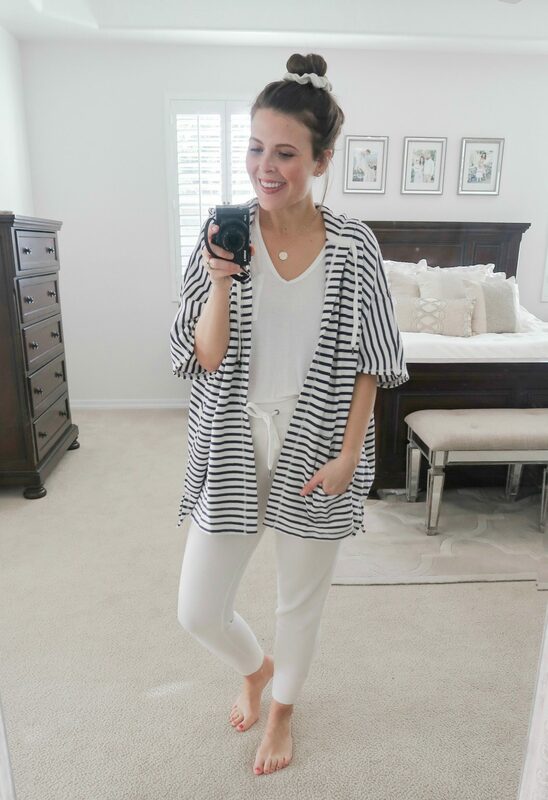 It’s super lightweight, so it’s perfect for transitioning into Spring! Aerie Move High Waisted Color Block 7/8 Legging, Brown (currently 30% off!) : Wearing size medium. They fit true to size, but I sized up one for the bump! I absolutely love that they’re high waisted and the colors are so fun!